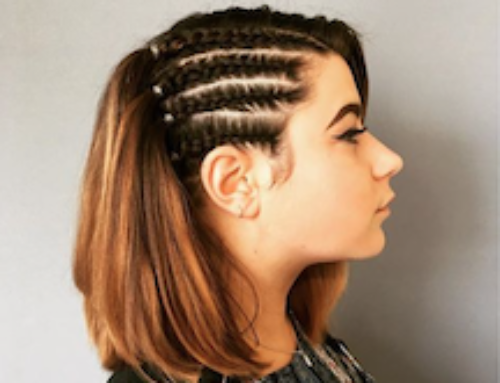 Every hairstylist around the globe, including hairdressers in Bath, now looks to the various Fashion Weeks, Oscars and global red carpet events for hair styling and fashion trends. Having trained with world renowned hairdressers Vidal Sassoon I have a love for short hair. 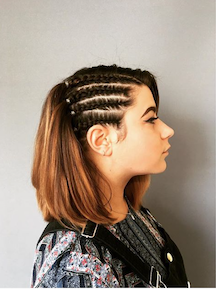 On a purely craftsmanship level short hair is great fun to cut and best demonstrates form, technique and a hairdresser’s understanding and knowledge of hair – texture, face shape and suitability. Who’s catwalk was rocking the look? How do I ask my hairstylist? Short hair is not just for the high cheek boned and oval faced shape beauties among us! 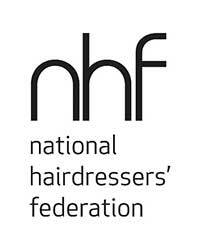 With a good understanding of shape your hairdresser can trick the eye and design a look that works for you. Oval – Short as you dare! Pixie, buzz cut the choice is yours. Round – Ask for a flatter, square shape to elongate your face. 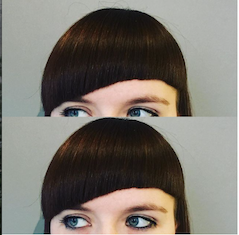 Use a square or angled fringe to counter-balance roundness. Square – Ask for a rounded shape. 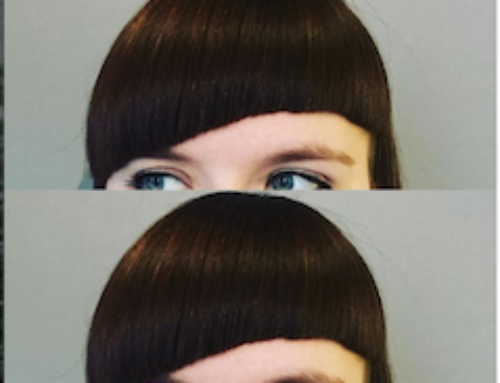 Curved fringes and soft outlines will also flatter. Long – Graduated shapes with width through the sides and keep the top flat i.e. no excessive root lift. A longish sweeping or eyebrow skimming fringe will shorten the face. Heart – Quite tricky but I would ask for a short head hugging crop with angled or square fringe. Keep some tendrils of length around the jaw to balance the narrow chin. Minimal styling should apply to short hair – the less you style the better. Gently blowdry hair or leave to dry naturally, ruffle a bit of Texturizer through or spray lightly with PK instant Beach. Like Denim, leather and a crisp white shirt, long hair suits everyone and is always popular, just re-imagined each season. If you have a lot of thick hair or are very petite of frame, my advice would be not to let the length get too far past the bottom of your shoulder blade or you can look swamped! Classic – centre part, no layering, hair all one length. Great for fine straight or wavy hair. Condition must be tip top because your hair texture and condition is doing all the talking. Fashionista – as above but with some subtle shape at the front. Add a flat root bouncy ends blow-dry and you’re ready for an afternoon of shopping on Bond Street. Beach Waves – Go to beach, get hair wet in sea, tie/plait allow to dry = beach waves! Alternatively get your stylist to use a waving wand and some Instant Beach spray. Classic – Paddle brush and some heat protecting blow-dry spray. Fashionista – Large round brush heat protecting blow-dry spray. Keep roots flat then wrap ends around the brush, roll brush up the middle of the section, apply heat then allow to cool before removing brush. Easier still, come in and see one of our talented team for a salon perfect finish! Beach Waves – First blow-dry hair smooth after applying a heat protecting blow-dry spray. Once completed take large sections and wrap around the wand, keep hair wrapped for a few seconds then release.